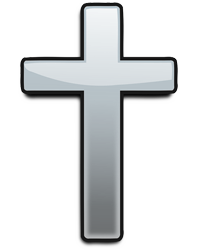 William J. Lucas Sr., 68, of Manchester, husband to Michele (Bidwell), passed away Wednesday, February 6, 2019. He was born in Hartford on July 2, 1950, to David and Filomena (Altamura) Lucas. Bill grew up in Hartford, attended local schools and was a graduate of Bulkeley High School, Class of 1970. In 1989, he moved to Manchester where he resided for the remainder of his life. Bill was a truck driver for many years with Ris Paper. He was quite the family man, whenever he had the chance to get the family together, he took it. He looked forward to his camping trips to Lake George. He was an avid football fan and always watched his Dallas Cowboys. He also found enjoyment in cooking and baking, especially baking cookies. When spending time outdoors in the spring and summer, you could find him tending to his garden. In addition to his wife Michele, Bill is survived by his mother, Filomena; six children, William Lucas Jr, Joel Lucas, Eric Lucas, Carrie Lucas, Sara Lucas and Jenna Gaudino and her husband Joseph; five grandchildren, Edrick, Sofia, Madysen, Brendan and Donte as well as his brother David Lucas. Bill was predeceased by his father David. A time of visitation will be held on Sunday, February 10, 2019, from 2-4 p.m. at Manchester Funeral Home, 142 E. Center St, Manchester. To leave an online message of condolence for his family, please visit www.manchesterfh.com.